Lola and her favourite toy, a learn-to-dress clown called Buddy, attempt to play a game of hide-and-seek with Lola’s big brother Nick. But grumpy Nick is soon bored, and Lola notices he’s retreated to his room and turned up his music. Lola deals with this rejection by hopping into her magic toy box with Buddy, where adventure ensues. As per each of the Lola’s Toy Box books, Lola faces conflict in the real world, and learns some coping mechanisms via her adventures in an alternative world where her toys come to life. 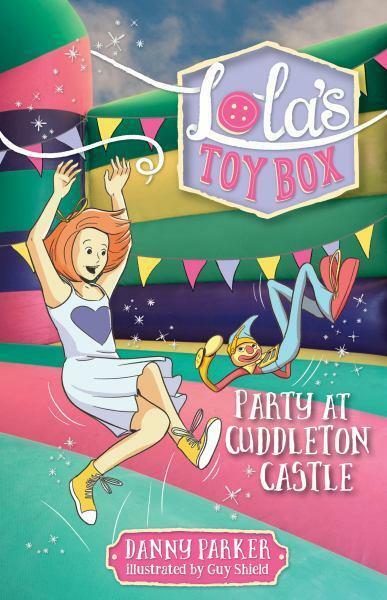 In this story, she ventures to Cuddleton Castle, where a birthday party for The Great High Bear (the toy kingdom’s ruler) is about to take place. Some readers may pick up the fun reference to Hazel Edwards’ There’s a hippopotamus on our roof eating cake. During the birthday celebrations, Lola uncovers a trick that antagonist The Plastic Prince has played on the bear. In the altercation that follows, Lola demonstrates bravery and kindness. Back in the real world, when she emerges out of the toy box, Lola is confronted by her brother Nick about their hide and seek game. However, she copes with a new kind of calm, no doubt acquired during the turmoil in the toy box. This short, easy reading chapter book series is ideal for new readers in the early primary school years. It offers a fun escape from reality, while touching on problem solving without being overly didactic.